Patricia Harty co-founded Irish America Magazine along with publisher Niall O’Dowd in October 1985. Among Harty’s many interviews in the past 30 years are Nobel Prize-winning poet Seamus Heaney, Wall Street guru Peter Lynch, best-selling author Pat Conroy, Hollywood legend Gregory Peck, corporate titan Jack Welch, and Ford Motor Executive Chairman William Clay Ford. Harty, a native of Tipperary, emigrated to the Bronx in 1972, and was very pleased when, in 2000, then Bronx Borough President Fernando James “Freddy” Ferrer made her a Citizen of the Bronx. 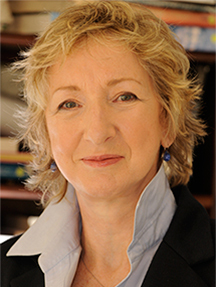 She serves on the board of Glucksman Ireland House, NYU’s center for Irish studies. She also serves on the Irish Repertory Theater’s Advisory Board, and on the committee for the annual Women of Concern Luncheon, which raises funds for the Irish relief organization Concern Worldwide. In addition to her book, Greatest Irish Americans of the 20th Century, Harty contributed essays to Being Irish: Personal Reflections on Irish Identity Today by Paddy Logue, and The Irish Face in America by Julia McNamara.